At FASTSIGNS® we manage to 4 key strategic objectives: Increase Franchisee Profitability, Increase Franchisee Sales, Increase Franchisee Satisfaction and Increase the Value of the Brand. Because of this FASTSIGNS® has the highest average unit volumes* among our competitors, the highest franchisee satisfaction levels and is the #1 ranked Sign Franchise in Entrepreneur Magazine Franchise 500 for the past three years (2011, 2012, & 2013). Join a recognized leader in the sign and graphics industry. Since our first sign center opened in 1985, FASTSIGNS® has become a leader in one of the world’s most dynamic franchised industries with a growing center network that spans the globe. Our franchised centers use state-of-the-art computer technology to create custom signs and graphics for businesses and organizations of all sizes. One of the most important factors in our success is the quality and commitment of our franchisees. 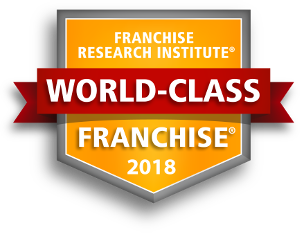 Highly driven strategic entrepreneurs, our franchisees receive extensive training and support—and every possible competitive advantage. We carefully select them, making sure that our franchise opportunity meets their goals and aspirations for business ownership. $6,000,000 in financing available to new franchisees! "I have been with the Franchisor for more than 20 years without any issues that could not be solved and situations with customer that could not be satisfied with the outcome of their concerns." "They are very innovative. They help keep me abreast of the trends in the industry. They create effective educational programs to help me implement new products and services. They foster a good working relationship between franchisees. The employees of the franchise are helpful and courteous." "This Franchisor make their money from royalties only and are not trying to force us to buy product from them. Their main focus it to help make each location a success." "Allowing us to do what is right and profitable for our business as opposed to the franchisor dictating to us how to run our business." "I like the amount of communication and timeliness of information received. The customer service is excellent. I feel as though everyone in the organization is very responsive." "The support and R&D resources are the most valuable offering to me as an established franchise." "The level of support and practical application advise the we get is outstanding. Many of the representatives that we work with have at least some years of experience in specifically our franchise business or related business in our industry. The vendor relationships that are available to us through the power of our franchise is incredible. The savings on our raw materials is worth the cost of the franchise fees every year." To obtain your FREE report about FASTSIGNS, please fill out the form here.